Hokuriku Railroad, also called Hokutetsu, is a private railway and bus operator based in Kanazawa. At one time this company operated an extensive network of railways in Ishikawa Prefecture. However, there are now only two Hokutetsu railway lines and the company is better known for providing the main bus services in Kanazawa. The two remaining Hokutetsu railway lines are the Asanogawa Line and the Ishikawa Line. 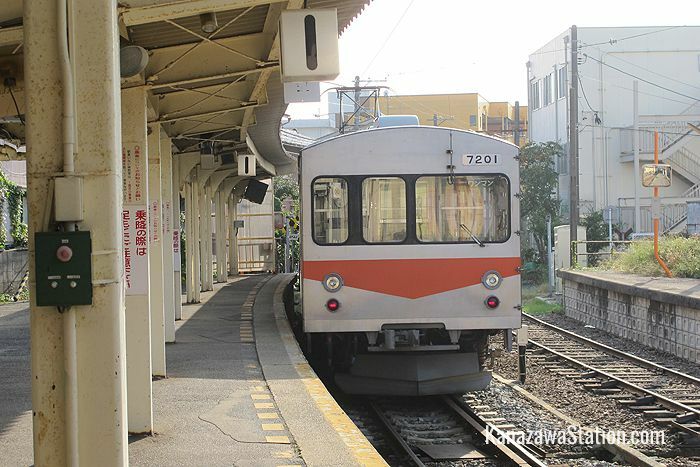 For most of its route the Asanogawa Line passes through suburban areas of Kanazawa before terminating at the seaside resort town of Uchinada. 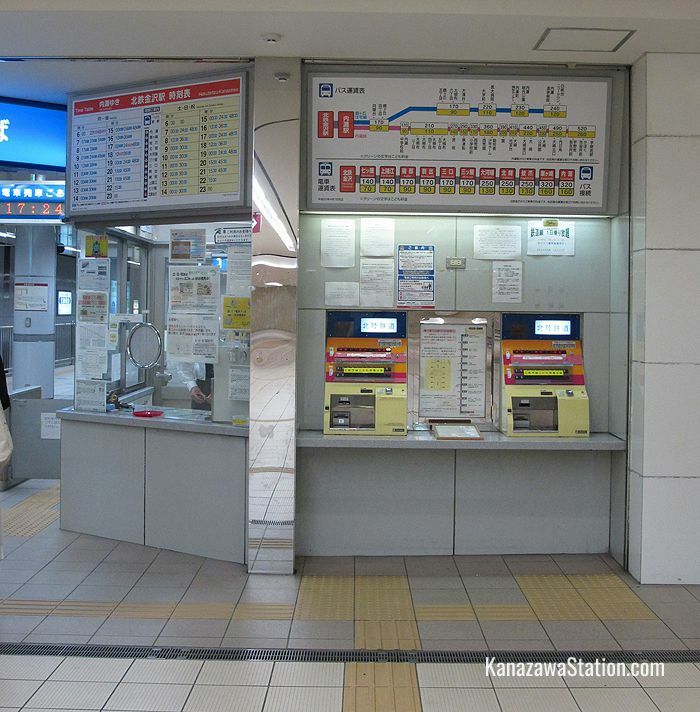 The key destinations are given below with example fares and train times from Hokutetsu Kanazawa Station. 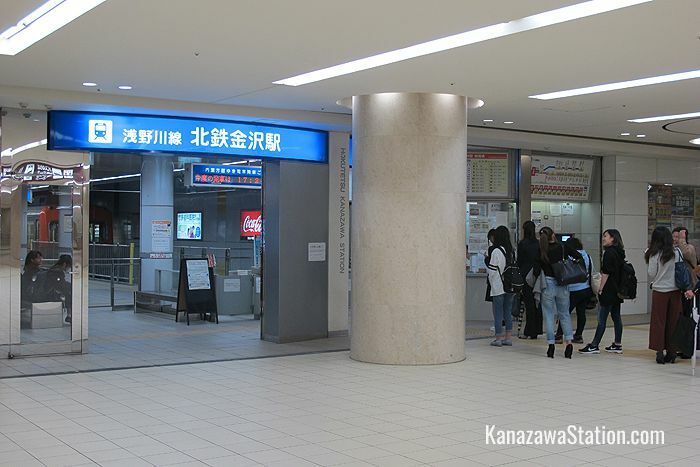 Hokutetsu Kanazawa Station is an underground facility that can be accessed via escalators which are just outside Kanazawa Station’s east exit. Isobe Station is a 5 minute walk from Moroe-no-Yu, which is a hot spring public bathhouse. The facilities are separated by gender and include a sauna. To use the facilities costs 440 yen for adults, 130 yen for children aged 6-12, and 50 yen for children aged 5 or younger. There is also a 620 yen fee which includes body soap, shampoo, and a rental towel. Uchinada is a seaside town which is popular for its beach and extensive sand dunes. The beach at Uchinada is also the setting for the annual World Kite Festival which is held here every May. The nearby Sunset Bridge is a suspension bridge which is illuminated every night. 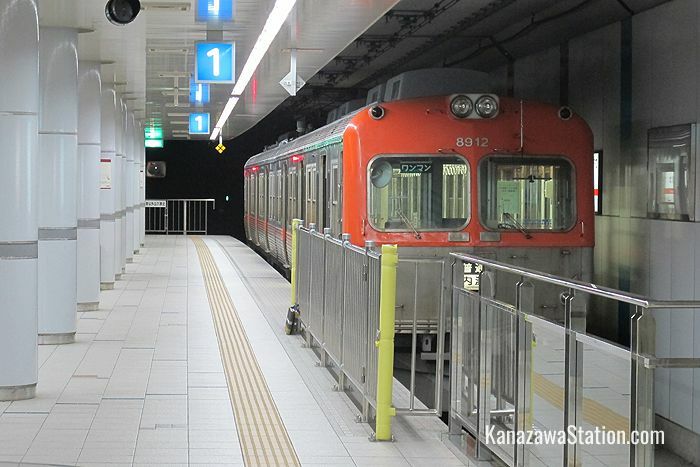 The Ishikawa Line runs between Nomachi Station in Kanazawa and Tsurugi Station in the Tsurugi area of Hakusan City. This line passes through the cities of Kanazawa, Nonoichi, and Hakusan. The key destinations are given below with example fares and train times from Nomachi Station. Nomachi Station is located south of Kanazawa’s Saigawa Ohashi Bridge and is close to the Ninja Temple and the preserved houses of the old Nishi Chaya geisha district. 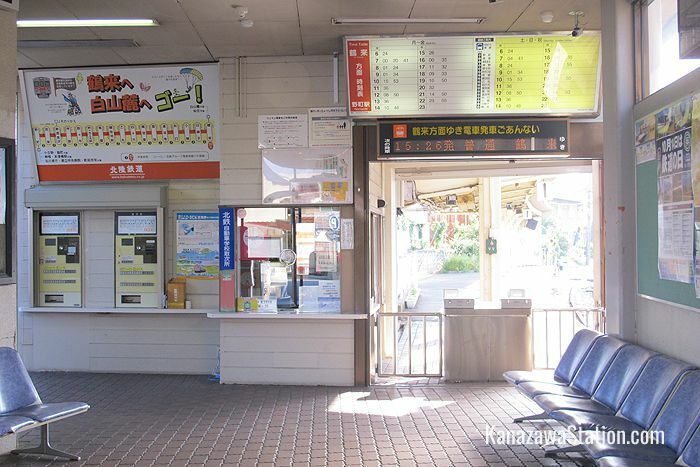 The Manten-no-Yu hot spring spa is a 11 minute walk north of this station. Just 11 minutes’ walk from this station is the Kenmin Sporec Plaza, which is a sports and fitness facility that has Ishikawa Prefecture’s only ice rink. The main store of the Shibafune Koide confectioners is a 3 minute walk from this station. 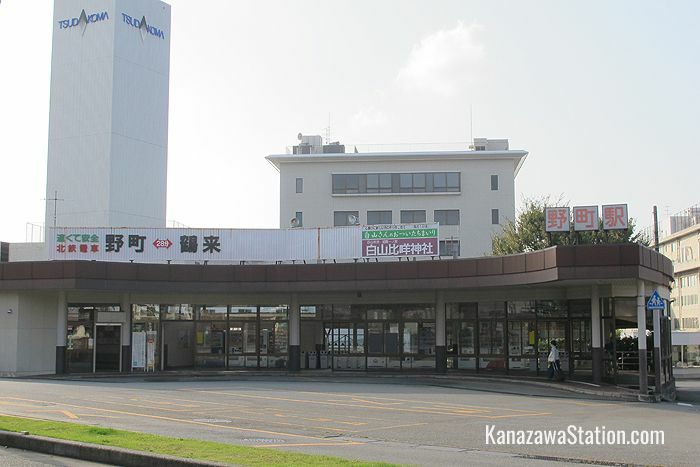 This station in the city of Hakusan is the southern terminus of the Ishikawa Line. Hakusan City is named after the nearby mountain, Mount Hakusan, which is a popular hiking location in the summer months. From Tsurugi Station you can catch a bus to the Bettodeai trailhead from where the route up the mountain begins. Other attractions in the Tsurugi area are Ishikawa Insect Museum where you can encounter a variety of butterflies and stag beetles, Jumoku Koen Park which has a thousand cherry trees, and the recreational facilities and gardens at Shishiku Park.